This year at San Diego Comic Con (SDCC) it seemed as if streaming services were slowly taking over from established cable and broadcast channels in providing most of the television content during the con, both in terms of panels and offsites. This trend continued at this year’s New York Comic Con (NYCC), where the number of streaming shows represented far outweighed the number of shows from traditional cable or broadcast channels. 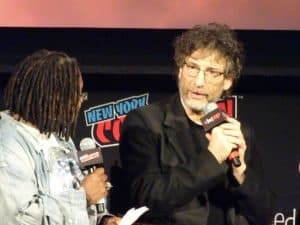 In turn, many of these shows were new offerings, and fans were able to see sneak peeks of premiere episodes, listen to the casts and crews discuss these series, and experience interactive activations as part of their convention experience. 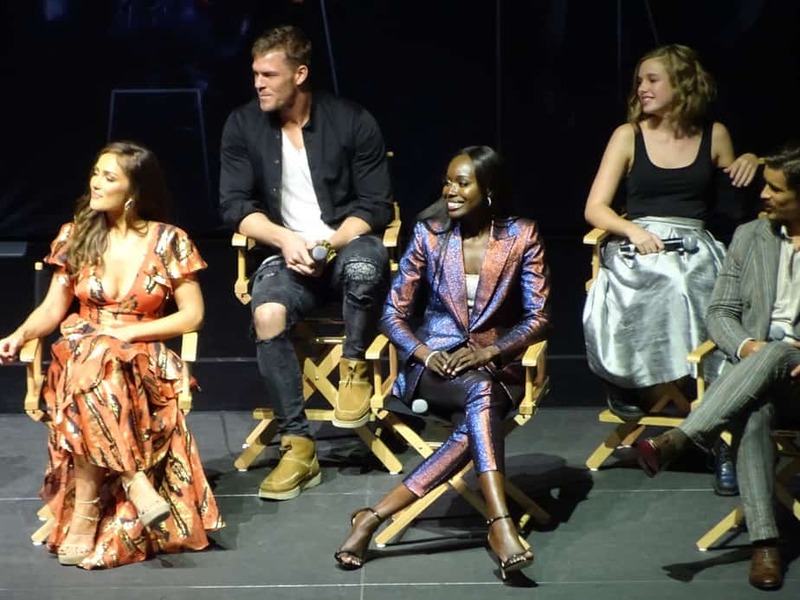 One of the biggest launches at NYCC was Titans, a new, live-action iteration of the formerly-teen, animated version with which many fans are familiar. This show is darker and more serious than the animated shows, with many of the Titans being adults, rather than teenagers. The new DC Universe service hopes that this show will bring viewers to its platform, just as Star Trek: Discovery brought viewers to the (then) new CBS All Access service. As such, DC Universe premiered the show’s first 2 episodes in a press-heavy, star-studded event the Wednesday night before NYCC began, and during the convention itself, DC held an autographing session for attendees. Find out more information about the new Titans program here. While Titans kicked off NYCC, it was quickly followed by other new streaming shows. Origins will premiere on YouTube Premium on November 14. 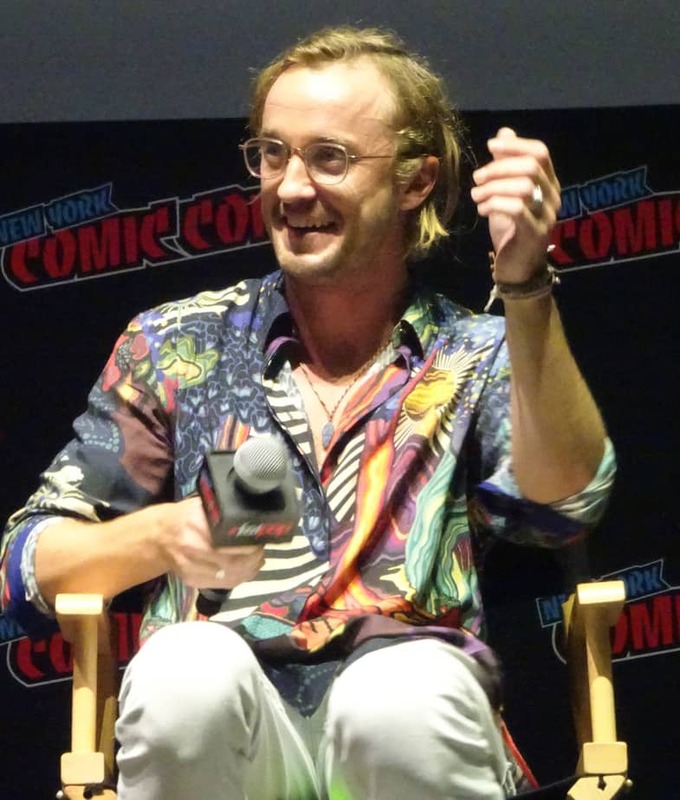 The series follows a number of people (including characters played by Harry Potter’s Tom Felton and Natalie Tena) bound for settlement on a distant planet, who suddenly find themselves away on their transport ship with a (mostly) missing crew and a strange alien presence, possibly a creature. The story seems to be following an Aliens-style pattern, at least at the beginning of the series. 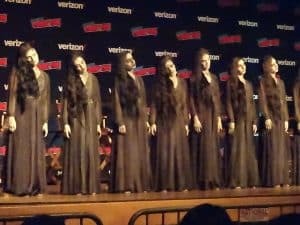 The snippets shown at the NYCC panel were certainly intriguing, and will likely encourage many fans to subscribe to the service to see more. Of course, established streaming services also brought out their new projects. Netflix heavily promoted their new She-Ra series, a rebooting of the original 80s cartoon. The storyline involves the classic showdown between dark and light, an evil empire and rebel forces, overlaid with an Americanized version of anime’s classic ‘magical girls’ genre, where nearly all of the ‘good’-aligned characters were magical princesses. 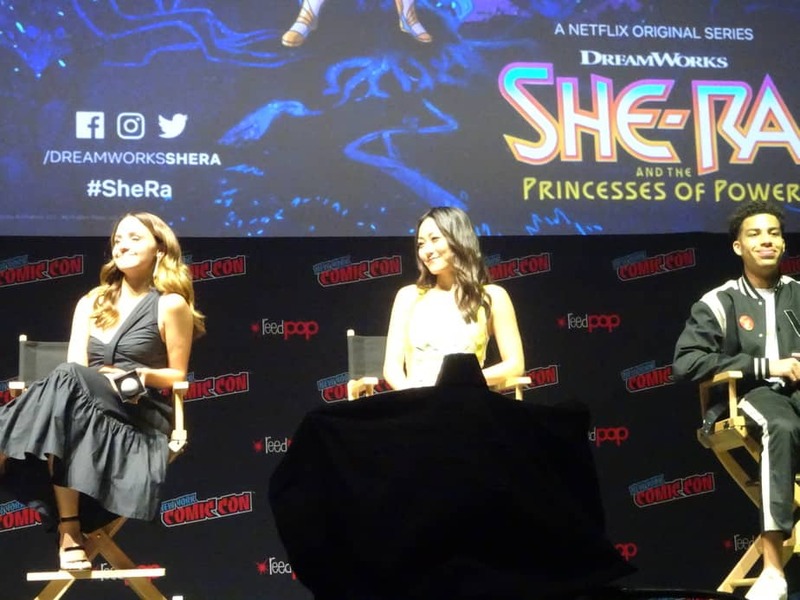 In addition to a well-attended panel, She-Ra had an attention-grabbing booth on the Exhibit Floor, and it was not uncommon to see attendees carrying She-Ra swag swords and crowns throughout the weekend. She-Ra will premiere on Netflix on November 16. Netflix also showcased four other new shows in one Friday evening panel, including adaptations of The Umbrella Academy comics book series and the classic horror novel The Haunting of Hill House. Many fans were excited to see a sneak peek of the new Dark Crystal series, extending the universe of the classic Jim Henson film, but the most buzz in this group of new shows came from The Chilling Adventure of Sabrina. Sabrina is a character in the Archie Comics universe, and the recent graphic novel is one of a number of attention-grabbing horror series featuring Archie characters. 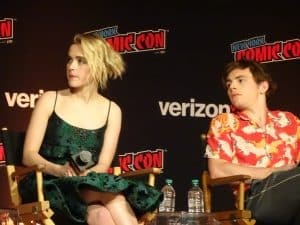 Between the popularity of the comics and the Riverdale television show, excitement for Sabrina is high, and attendees were thrilled to be able to watch the first episode at The Netflix & Chills panel. 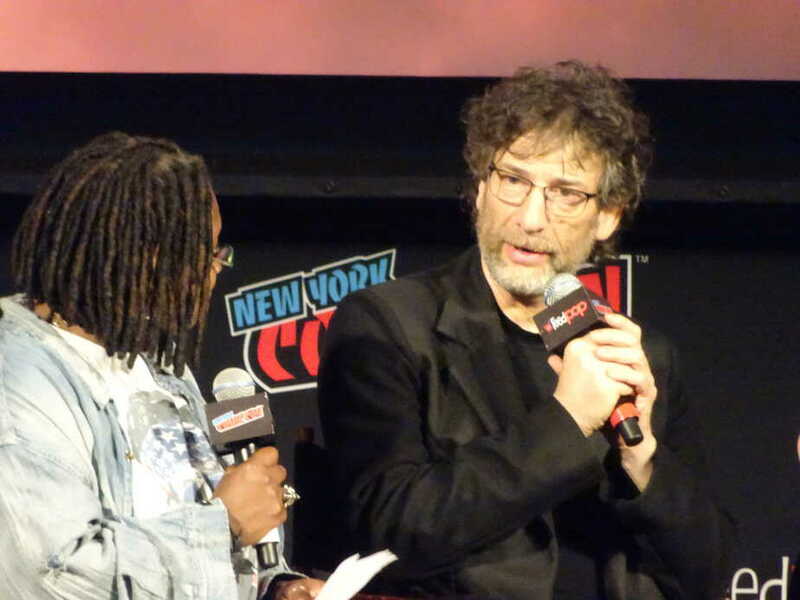 Amazon also brought out the big guns for its new Good Omens series, based on the graphic novel by Neil Gaiman. 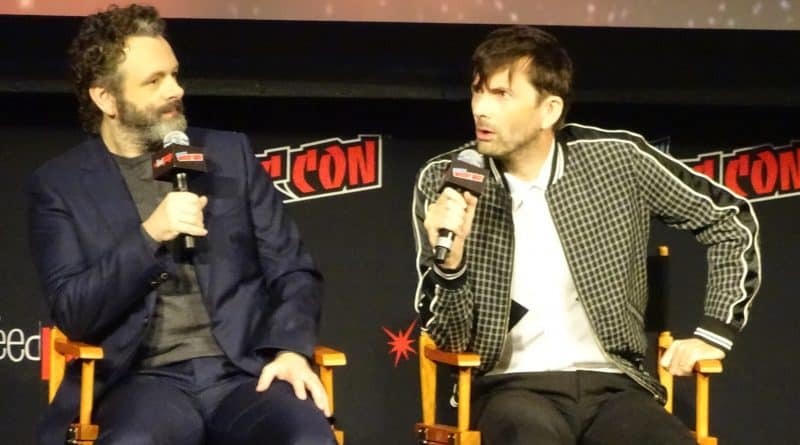 Fans turned up in droves at Madison Square Gardens to watch the panel, excited to see David Tennant, one of the series’ stars, as well as Neil Gaiman himself. 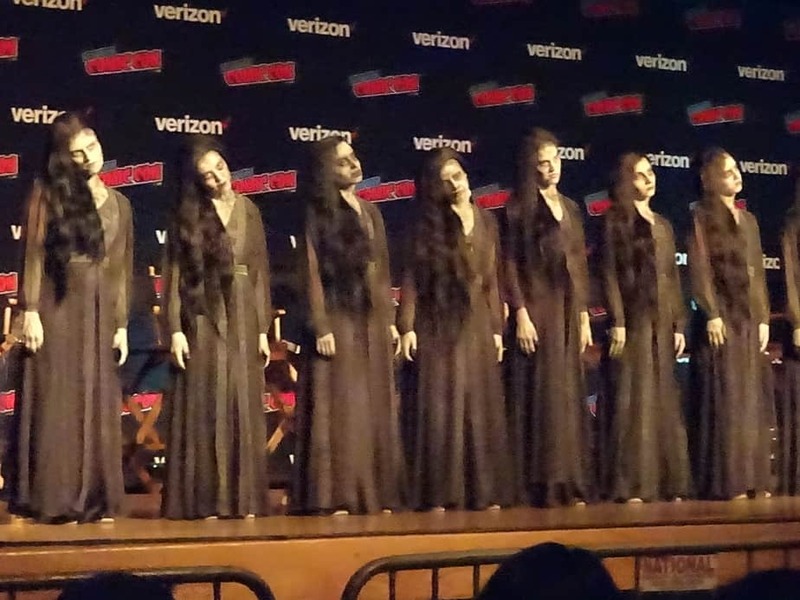 Attendees who couldn’t attend the panel were still able to experience the activation inside the Crystal Palace of the Javits Convention Center, where they took an elevator to either Heaven or Hell, to experience settings for the two series’ protagonists. Learn more about Good Omens here. With all of this new content, it’s clear that streaming is here to stay, both in television viewing and at pop culture cons. What new streaming shows excite you? Join the conversation on the FoCC forums!